Editor's Note: This story has been update with a statement from Tom Carper's campaign. There is no reliable polling to gauge Harris' viability in Delaware, where just a few thousand Democrats voted when Carper faced a primary challenge in 2012. If she wins, Harris would be Delaware's first biracial lesbian woman to serve in Congress -- and the first-ever to serve in the U.S. Senate. Harris faces daunting odds, given Carper's four decades of political success -- but so did Ocasio-Cortez in her fight against Crowley, a 10-term congressman who many expected would one day succeed House Minority Leader Nancy Pelosi, D-California, as the top House Democrat. 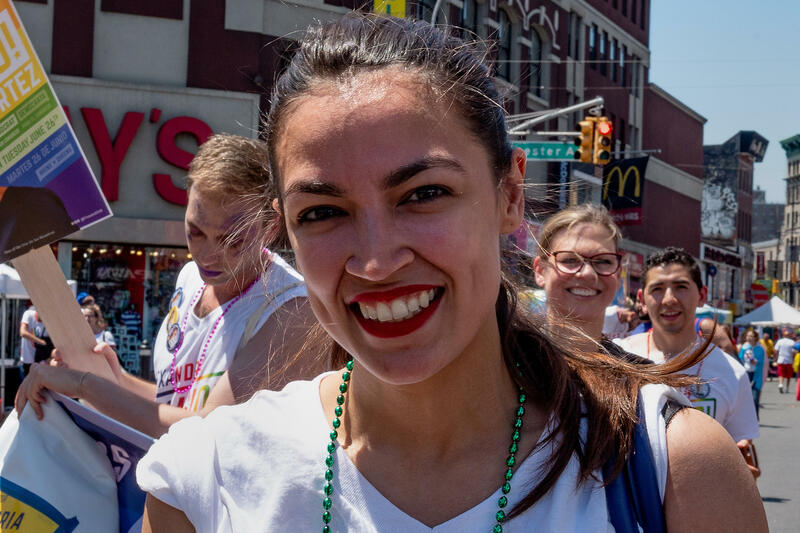 At least three of Ocasio-Cortez's paid staffers will move temporarily from New York to Delaware by next week to help Harris ahead of her Sept. 6 primary against Carper, according to Corbin Trent, an Ocasio-Cortez spokesman. Another New York-based staffer will help with Harris's digital outreach, according to Drew Serres, a spokesman for Harris. The spokesmen acknowledged that the move is partly a thank-you to Harris and five members of her campaign team who traveled to New York to campaign for Ocasio-Cortez in the closing days of her primary against Crowley. In the weeks since her victory, Ocasio-Cortez has leveraged her newfound star power and influence to endorse like-minded liberal Democrats running for office up and down the ballot. Among others, she has endorsed Brent Welder, a congressional candidate in a Kansas City-area district challenging GOP incumbent Kevin Yoder; Abdul El-Sayed, a Michigan gubernatorial candidate running for an open seat; and Julia Salazar, of Brooklyn, is hoping to unseat incumbent Democratic State Sen. Martin Malavé Dilan. Like Harris, these candidates are all aligned with Justice Democrats, a group co-founded by Cenk Uygur of The Young Turks and other leaders of the 2016 presidential campaign of Sen. Bernie Sanders, I-Vermont, who are seeking to recruit and support liberals willing to run for open seats or challenge incumbents - even if those incumbents are Democrats. The candidates generally seek to abolish the Immigration and Customs Enforcement agency, support "Medicare for All" and want to drastically slash college tuition costs. Harris was among the nearly 600 people arrested last month during a demonstration in the Hart Senate Office Building in Washington to protest the Trump administration's "zero-tolerance" policy that led to the separation of immigrant families that illegally crossed the U.S.-Mexico border. A Carper campaign spokeswoman told CBS News "New Yorkers are always welcome in Delaware, but our campaign is focused on the people who actually call the First State home. That's always been Tom Carper's approach, which is why he's earned the support of the Delaware Democratic Party, Planned Parenthood, Delaware AFL-CIO and the Delaware State Education Association -- groups that have seen him fight on behalf of hard-working people for his entire career." Next to former Vice President Joe Biden, Carper is Delaware's other Democratic political godfather. The 71-year old previously served as a congressman and governor. He conceded to reporters earlier this year that he had wavered about whether to seek a fourth term, but ultimately decided to do so after encouragement from family members, state Democratic activists and business leaders. But Harris' camp believes it could prevail by adopting a key part of Ocasio-Cortez's campaign strategy: Hustle. Serres noted that just 49,940 Democrats cast ballots when Carper faced nominal competition in the 2012 primary. "The idea is to focus on states with smaller races," he said of Justice Democrats' strategy. If Ocasio-Cortez's support could help encourage "even 200 volunteers" to help, he added, "it might happen."